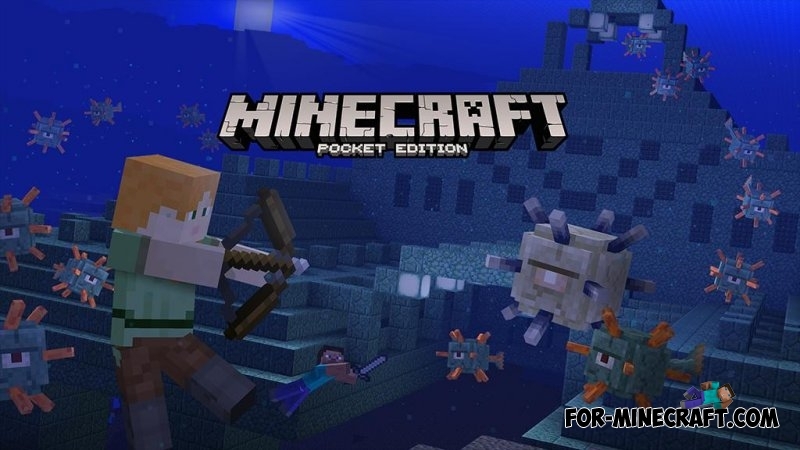 Developers have released a completely new version - Minecraft Pocket Edition 0.16.0, which will surprise the players by really stunning content: ocean monuments, guardian, new blocks and capabilities, as well as the fact that many have been waiting a very long time - add-ons! We'll talk in the first place about this. Add-ons allow you to change the Minecraft world the way you want. For example, you can change the chickens behavior, ride horseback, or increase creeper explosion. The most cool is that now you can use the addons together with friends in the Realms. Previously, all players have used the Blocklauncher and other similar apps but these applications have one problem. We could'nt install weapon mods and shoot from grenade launcher with a friend, for example. But now we can! Of course, for this you need to know programming languages, but do not worry. Now, the game modifications are official! Right now, Mojang developing this feature, so that every player can learn to program and enjoy the new cool things that only can think using the add-ons without any problems. We'll talk more about this later. In addition to add-ons, you can fight with two new bosses: the withers and the guardians. But that's not all, Minecraft PE 0.16.0 will fill the world with aquatic theme by adding sea lantern and new prismarine blocks. These strange blocks can be used to decorate your home or you can add charm to giant castles and other epic buildings. And finally, the developers have made sure that you do not get lost and add the coordinates and the beacons. This glowing thing can be crafted if you can defeat the wither and then pick the nether star. Forward to new adventures! You can download Minecraft PE 0.16.0 here (link).